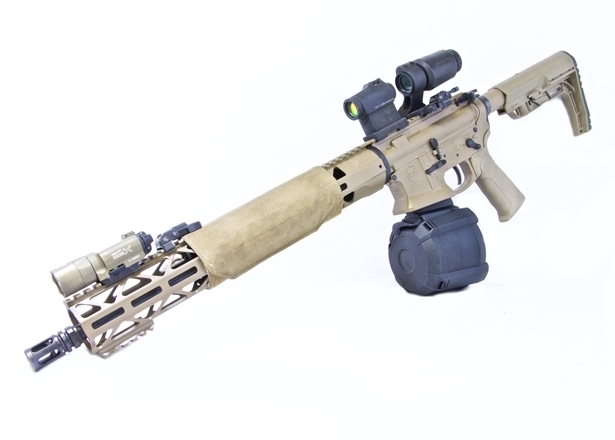 KE Arms has several potentials solutions for shooters who want to adopt the Aimpoint ACRO. First, they are now offering their Bravo, Charlie, Delta, and Echo slides with ACRO cuts. Additionally, they offer milling services to machine existing slides for the ACRO. 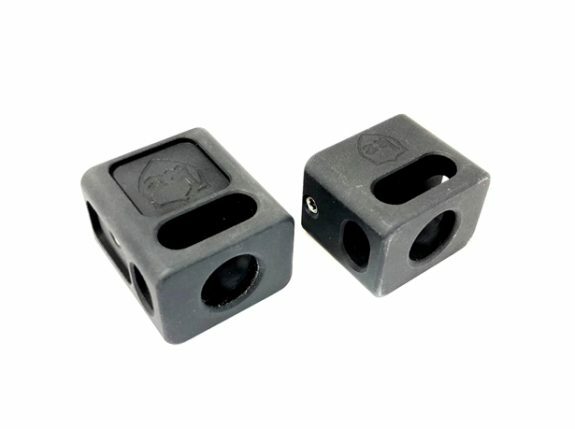 Finally, they are now offering their RMR to ACRO Adapter Plate. This plate allows an ACRO to be installed in an RMR cut. 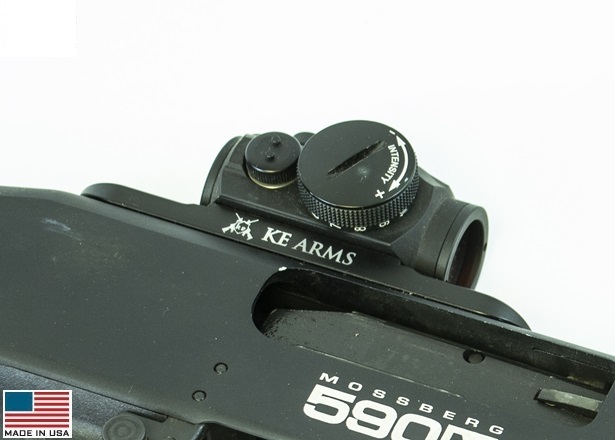 KE Arms is pleased to announce our optic mounts for Mossberg 500/590 shotguns (and compatible mounting patterns). Everything that’s awesome about using a red dot on a rifle is just as awesome on a shotgun! Improve you capabilities tracking moving targets, shooting from unconventional positions, and making those slug hits at 50-100 yards. Made in the USA from Billet Aluminum and hardcoat anodized. MSRP is $64.95 on all models. 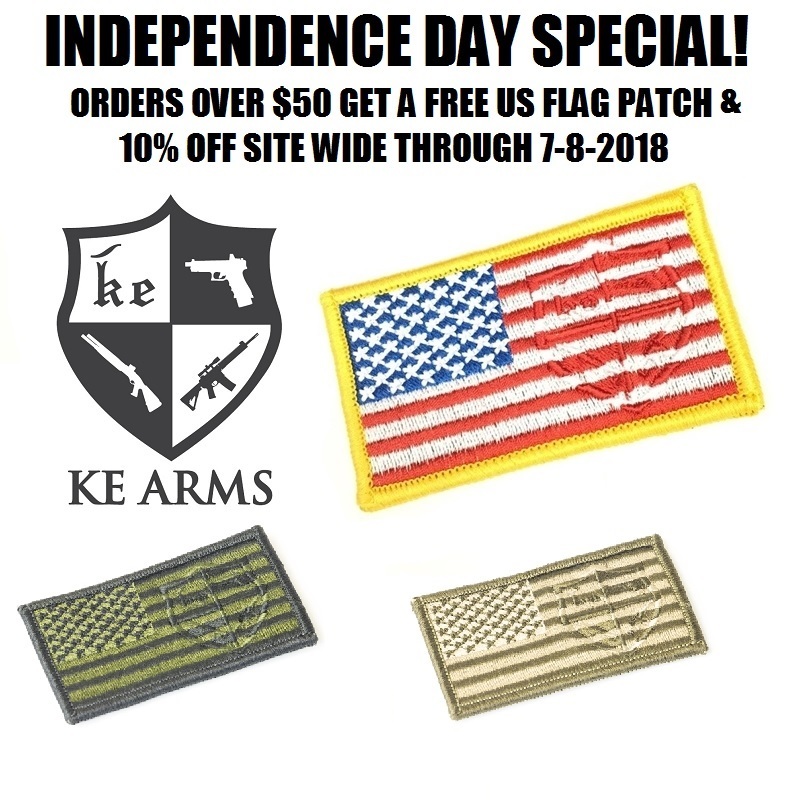 KE Arms has some holiday specials on their website, including a special price on the ever popular SB Tactical SBA3 Brace and a very slick, complete PDW lower with SB Tactical PDW Brace. JTT readers can save an additional 10% with code JTT2018. 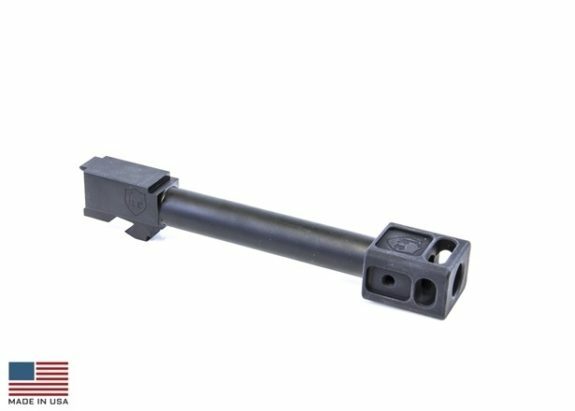 KE Arms is now offering longer trigger/hammer pins for use in CAV-15 MKII lower receivers. These popular polymer AR-15 receivers can use regular trigger/hammer pins but they have a wider exterior dimension than a standard receiver. The longer pins sit flush with exterior of the receiver. Long hammer pin for the CAV-15 MKII polymer receiver. The hammer pin area of the CAV-15 MKII is wider than traditional receivers. 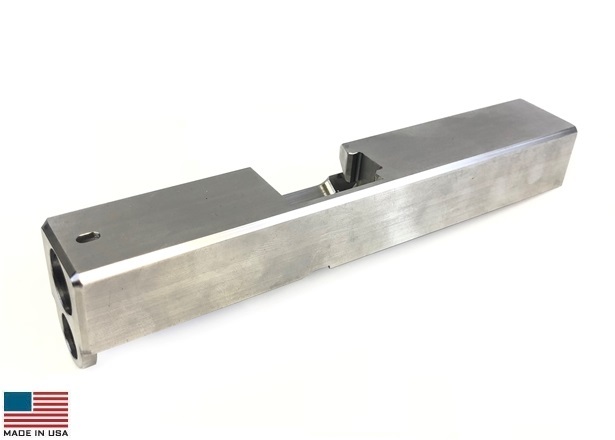 While normal hammer pins work with them, many users have requested longer pins that sit flush with the outer edges of the receiver. These pins give the user quick visual identification that their pin is in place and centered. Made in the USA of steel and melonite coated. Compatibled with Cavalry Arms CAV-15 MKII, GWACS Armory CAV-15 MKII, Sabre Defense SR-15, and Eagle Arms M-15P. 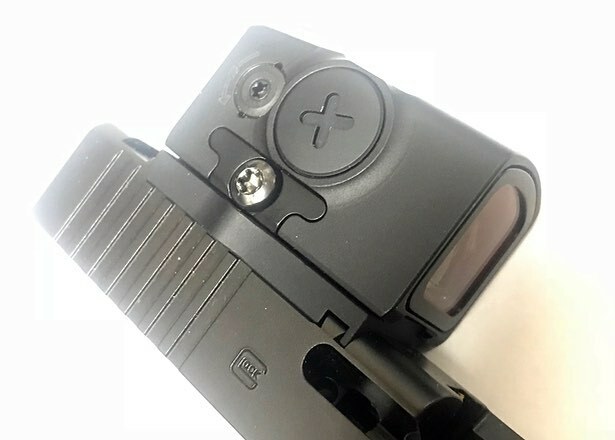 KE Arms is pleased to announce the release of our slides compatible with Gen 3 Glock 26 pistols and similar frames like those made by Polymer 80. The KE26 Slide is machined from 17-4 Stainless steel and heat treated to Rockwell 42-43. 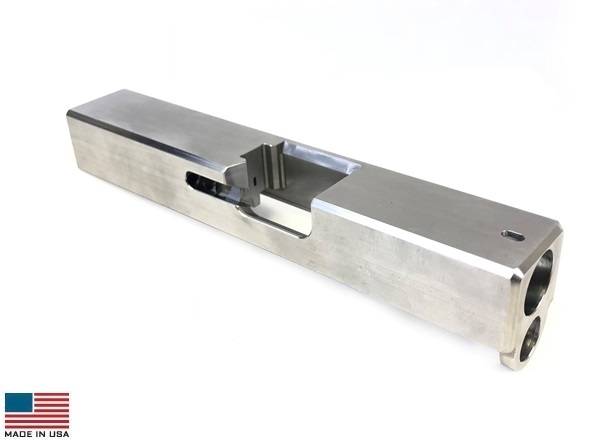 These slides come ready to accept OEM internals, barrels, and guide rods. The KE26 slide is compatible with all Glock 26 Gen 3 OEM components. Nothing else has been machined on the surfaces, making them perfect for custom builds and gunsmithing projects. Completed models with serrations and optics cuts will be coming soon. 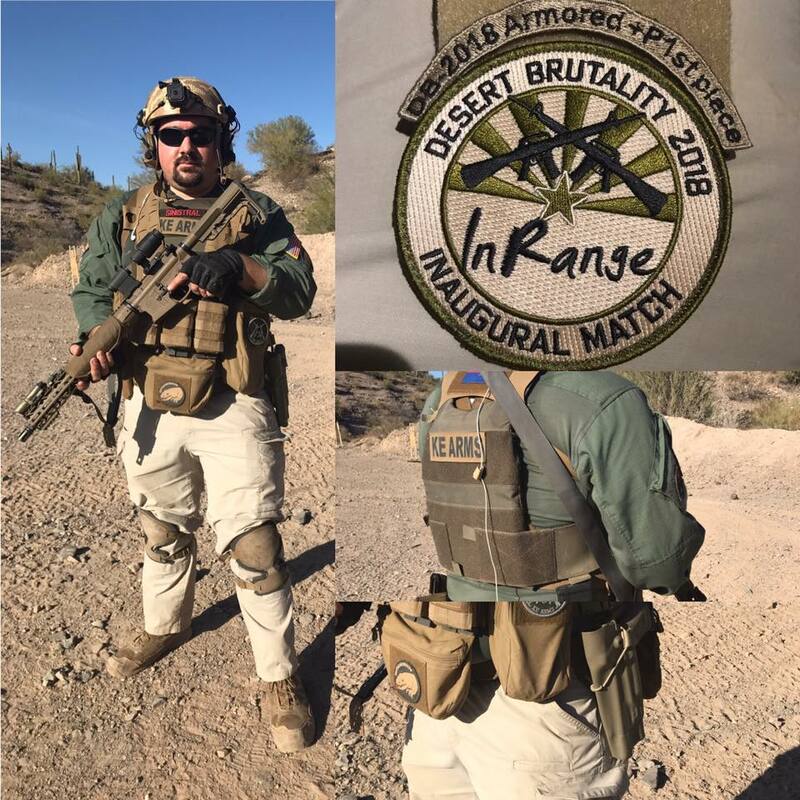 The Desert Brutality 2 Gun Competition was held at the Cow Town Range in Peoria, AZ February 3-4 2018. The match was organized and promoted by InRange TV. InRange TV’s Karl Kasarda brought his unique combination of physical and shooting challenges with rifle and pistol from the 2 Gun Action Challenge Match into a major event format. 105 competitors from around the United States and as far as Switzerland and Finland attended the event. Participants included active and retired Military/Law Enforcement, experienced action shooting competitors, and a large number of new shooters inspired to compete by InRange TV’s match coverage. Competitors engaged rifle targets from out to 300 yards, and pistol targets to 25 yards. Every stage included some physical challenge including sprints, running up hill, throwing a kettle bell, dragging a heavy sled, obstacles, and breaching doors. Classic: Firearms designed in as issued configured prior to 1974 with iron sights. Mag capacity was limited to 30 rounds rifle, and pistol to standard capacity magazines. Armored: Same as Scout, but add a plate carrier with rifle rated plates must be worn on every stage. Sport: Equivalent to Open Division in 3 Gun, no substantial equipment restrictions. Armored +P: Rifle Rated plates front and rear, bump or ballistic helmet, all ammo for the entire match carried on person throughout each stage. Firearms equipment and accessories were unlimited as long as it was carried. KE Arms Team Shooter Jordan Henderson won Scout division and overall. KE Arms Marketing Director and Shooting Team Captain Russell Phagan (aka SinistralRifleman www.SinistralRifleman.com) won Armored +P division and placed 2nd overall only 8 seconds behind Jordan. 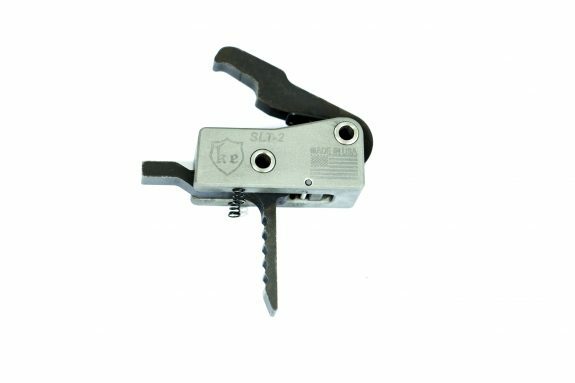 KE Arms in conjunction with M&M Manufacturing is pleased to announce the release of the SLT-2 Sear Link Technology ARC Blade Trigger. 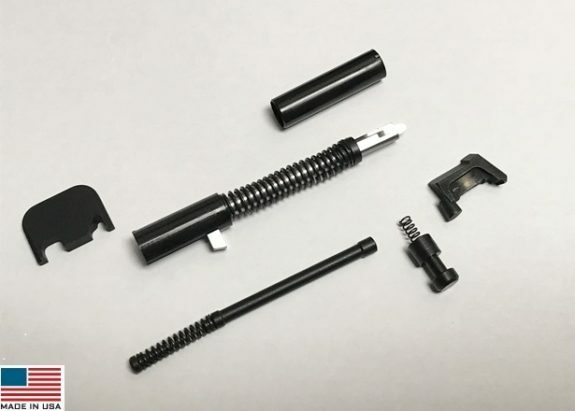 M&M Manufacturing designed the Sear Link Technology trigger to address the short comings common to most AR15 trigger designs. 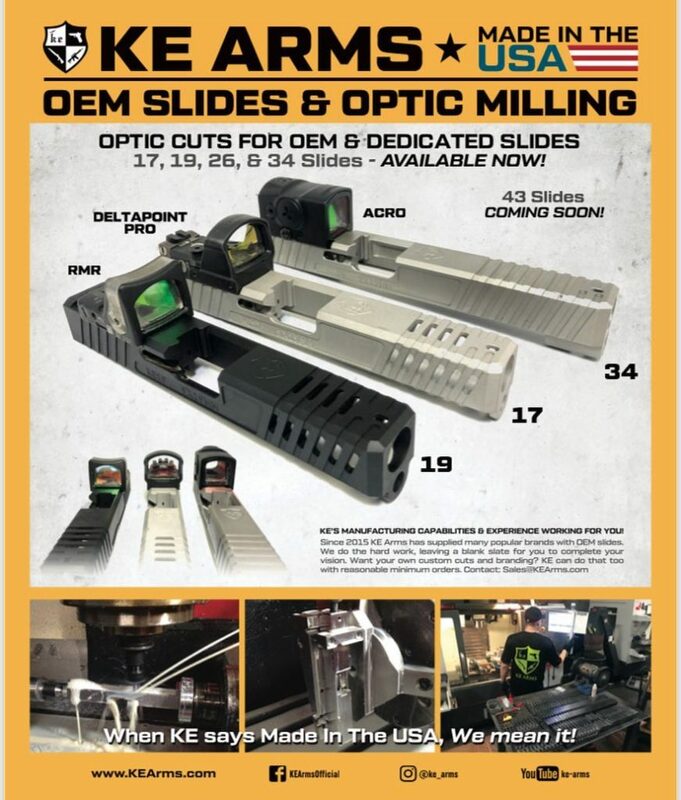 Produced and distributed by KE Arms, the patent pending sear link system eliminates the traditional disconnector, resulting in a smoother and more durable trigger. As the hammer is pushed out of the way by the bolt carrier group, it does not impact any other parts of the fire control group. Without a disconnector for the hammer to drive through, longevity and durability of the trigger system are increased especially when used with higher speed BCGs found in pistol caliber carbine blowback systems. 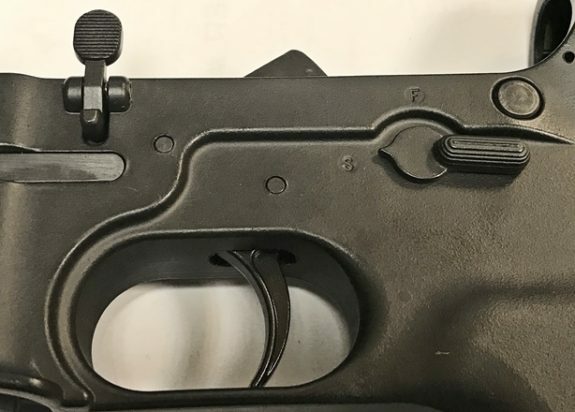 The function of the sear link system also allows the firearm to be placed on safe with the hammer either cocked or forward, something unique to aftermarket trigger systems. This simplifies the manual of arms and reducing the possibility of a negligent discharge when transitioning or clearing malfunctions. Finally the moving parts of the SLT are isolated in the forward front section making them much less susceptible to debris and fouling than traditional designs. Although the SLT-1 with curved trigger has been successful since its release in early 2017, there was still room to make it even better. End user feedback and input from the KE Arms Shooting Team led to the development and release of the SLT-2, featuring the ARC Blade trigger. The new trigger improves the tactile feel of the reset, making the shooter more aware of when the trigger has moved forward to the reset point. The surface of the ARC Blade makes the pull feel consistent regardless of trigger finger placement. The SLT-1 maintains the curved trigger, but now also features the improved tactile feel of the SLT-2. Visit KE Arms in booth 4257 to get hands on experience with the SLT-1 or 2 at SHOT Show 2018. Kudos to KE Arms for arranging to have holsters available simultaneously with the announcement of their new line of pistol compensators. 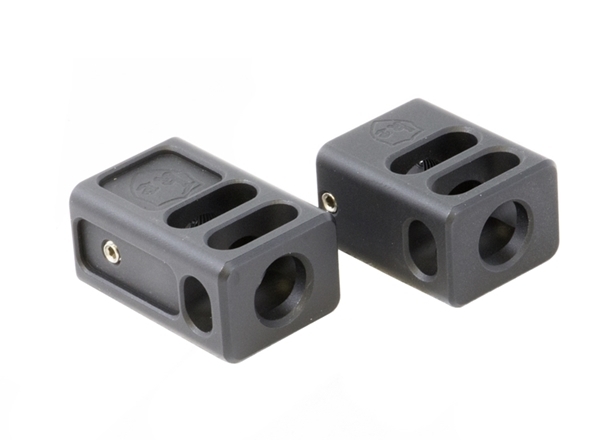 KE Arms is pleased to announce the release of our pistol compensators! Machined from 7075 T5 Aluminum Billet and Mil-Spec hardcoat anodized, these comps are machined to attach to any 1/2-28TPI barrel. Available in 2 different thread lengths to accommodate the widest range of barrels and secured with 2 set screws. Made in the USA. 0.233″ relief on back of Comp before threads start. The Carry Compensator features a single top port to reduce length while still offering excellent muzzle flip reduction. Looking for a holster to accommodate your compensator equipped pistol? Our Industry partners at We Plead the 2nd https://wepleadthe2nd.com/ can make a holster to accommodate your pistol and carry needs. I can’t say that the KE-15 Action Carbine will make you a winner but it is the carbine that multi-gun competitor and Trooper Class founder/guru, Russell Phagan, uses to win competitions regularly. So… Maybe some of that winning pedigree will rub off on you. 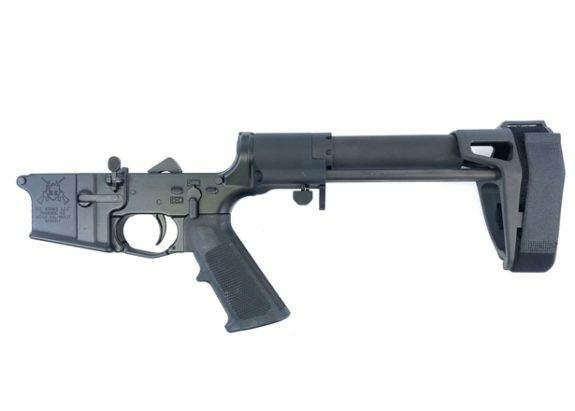 The Action Carbine has features selected to make it capable from 0-400 yards in fitting with its multi-gun competition roots. It features a Ballistic Advantage Performance Series barrel, a Young Manufacturing Nation Match BCG, a KE-15 lower receiver with a massive magazine well, KE Arms’ SLT-1 Trigger, and more. You can read more about its features and options at KEArms.com.